Report about Executions + Defects - Welcome to motu4qc-en! Defects are created only during the Run Execution, more deeply during Step Execution. The extraction of data will be done through the selection of a custom button inside the TestLab section that will work only if a folder is selected. 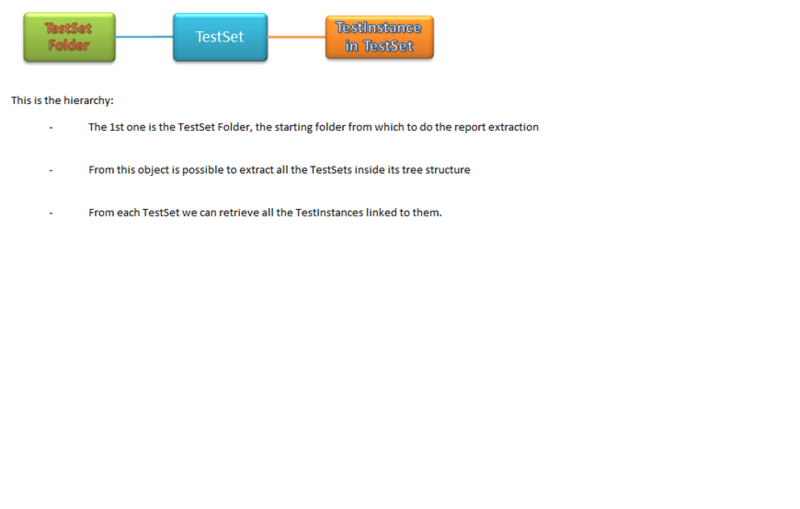 If the check of the folder is OK then it will extract all the TestSets under the selected folder and its hierarchy. We'll use the FindTestSets method of TestSetFolder object. We'll do an internal for cycle for each TestInstance to retrieve the execution status and access to the last Run, if exists. 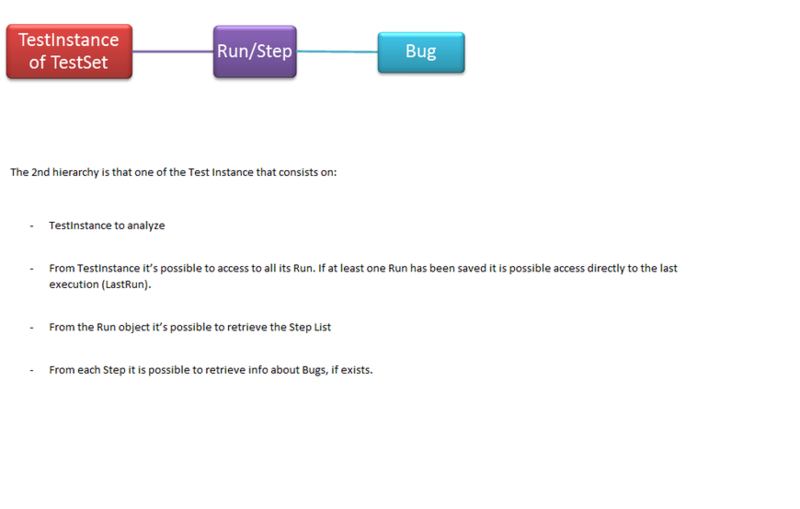 From the Run we'll analyze all single Step execution to understand if it is linked to a Bug. If a Bug exists we'll increase the total counter and the counter of the bug status. See the WorkFlow Script Editor to know how to create a custom button. Suppose the Action linked to the button is actReportRunDefect. 1. We'll insert into the ActionCanExecute the call to the main Sub into TestLab. 'Use the global object objFold_TL. msgbox "I don't have the focus on the folder. Select a Folder. ", vbCritical + vbSystemModal, "Quality Center - Folder Focus Error"
objWks.Name = "Report Exec and Bug"
objWks.Cells(1,4).Value = "Number of Test"
'I create the array of the result splitting the variable on the comma char. objWkb.SaveAs "c:\temp\ReportExecs_" & split(date,"/")(2) & split(date,"/")(1) & split(date,"/")(0) & "_" & split(time,":")(0) & split(time,":")(1) & ".xls"
if RunList.Count > 0 then 'it means that at least there is a bug. 'extract the step list of the Run. 'Check if there is a bug for this step.